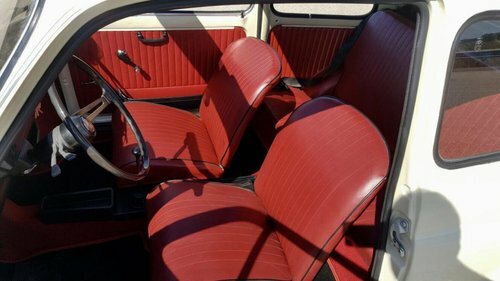 Fiat 500 l beige / red interior 1970 Italy import only 6950 euro. 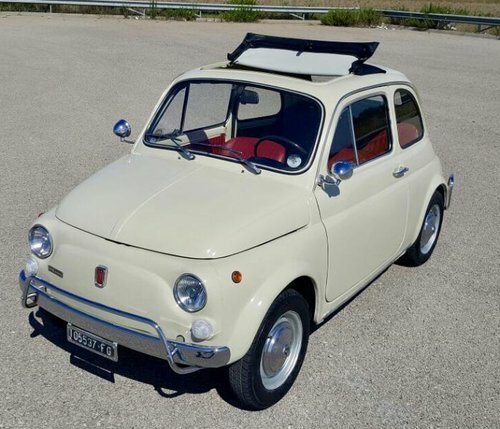 Very nice Fiat 500 with a high attractive value. 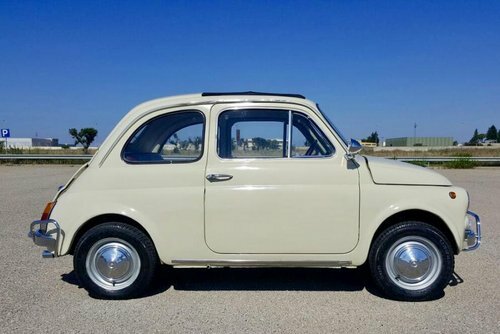 Still just nice to see this Fiat 500 the icon from Italy. 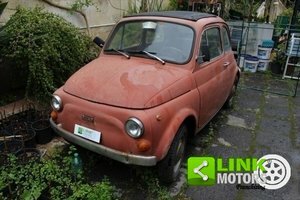 This fiat has an Italian registration and can therefore be registered in every country. 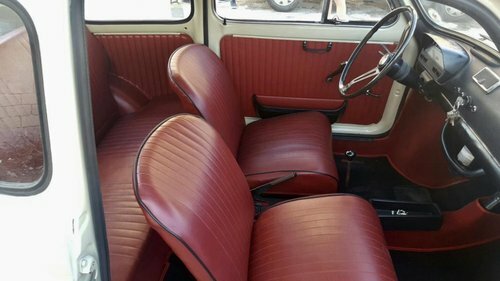 The Fiat is in a good condition, the interior is very nice. Nearly all of the chrome parts have been renewed. Also take a look at the 2 spicy chromed door mirrors. 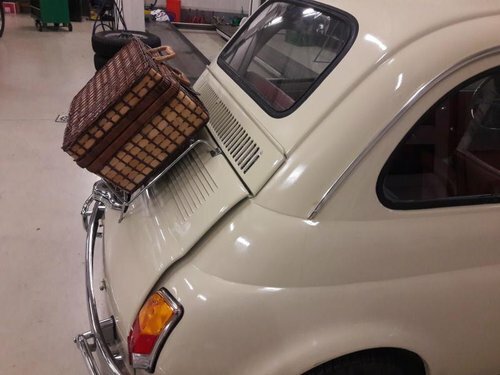 With us you always buy a Fiat 500 with an original luggage rack with matching wicker suitcase. 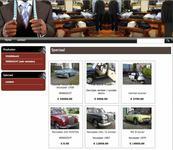 The car is technically in a good condition, everything works and the engine and the gearbox work fine. 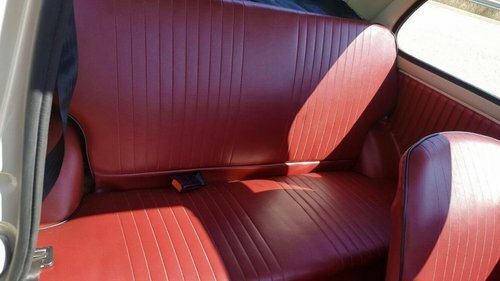 The open roof is as good as new.